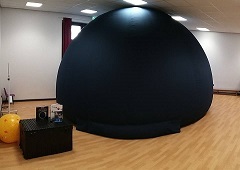 Thinking of Setting up a Digitalis Education Solutions planetarium inflatable dome or a fixed projector in a building? CONTACT THE SCIENCE DOME UK—we cover Northern Europe and UK plus EIRE as agents for Digitalis Education. 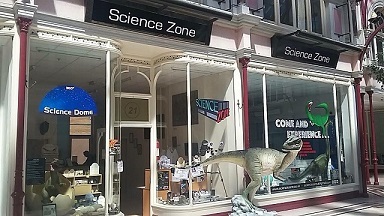 CONTACT SCIENCE DOME – for a free demonstration at our Sales Office in Bournemouth UK, which has all equipment and a planetarium. We stock a whole range of actual Digitarium products unlike other suppliers in the UK direct AND you can see then being demonstrated. We would recommend that you do not buy any system on the whole market, unless you have seen it operating. We would go ‘Head to Head’ with any other system in a joint demo – if you want, we are confident that a Digitarium is a solely education based and stands above the rest. Contact Science Dome for a purchase of a mobile planetarium for your school- makes an instant mobile interactive classroom covering all science and earth science - hire to try - call 01202 304734 in the UK. The Digitarium AEthos system's 4k laser-phosphor projection looks absolutely stunning on their 40 ft dome. The colours are bright and vibrant, and the 4k resolution shows off the Earth and solar system data with great detail. An automated camera calibration system makes it easy to keep the two projectors properly aligned for the best quality projection. Our last project to fit a Digitarium planetarium system and an Immersive Fixed Dome into a new school library is up for an education award! "We are delighted to announce that our Discovery Space project at The Winston Churchill School has been shortlisted for the Inspiring Learning Spaces award at the 2018 Education Estates Awards!"